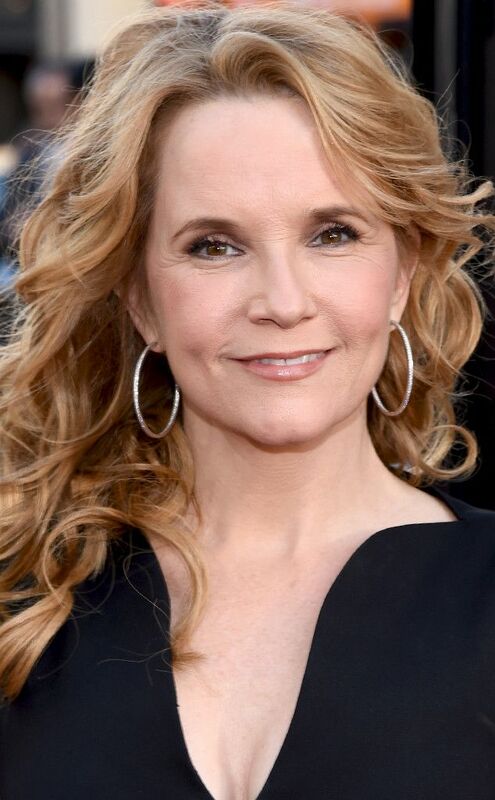 Lea Thompson made her name as one of the most popular and talented young Hollywood actresses of the 80s, with her performances in films such as BACK TO THE FUTURE (1985) and its two sequels, JAWS 3-D (1983), ALL THE RIGHT MOVES (1983), THE WILD LIFE (1984), SPACE CAMP (1986), HOWARD THE DUCK (1986), and SOME KIND OF WONDERFUL (1987). She has continued to work successfully as an actress in film and on TV (most notably as the lead in Caroline in the City and Switched at Birth), whilst also breaking out as a director of episodic television and TV movies (the Jane Doe films). 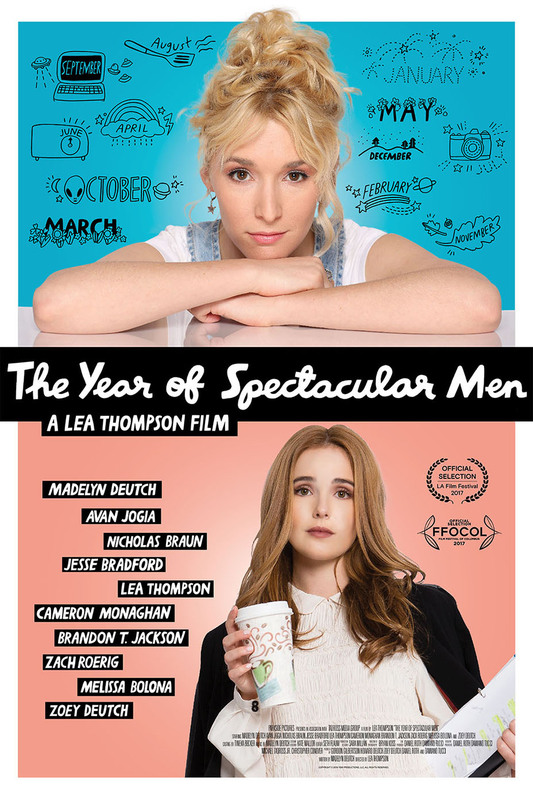 This year sees the release of her feature debut as a director, the comedy drama THE YEAR OF SPECTACULAR MEN, which also sees her collaborating with her daughters Madelyn and Zoey Deutch. In the first part of my three-part interview with Lea about her career, I spoke to her about the making of the film. How would you describe THE YEAR OF SPECTACULAR MEN? I see the movie as a coming of age story about a girl who is lost and trying to find her way in this complicated world that we are living in right now, where it's so hard to make a connection with someone. It's also about learning how to face your secrets and your past, and how how hard it is to maintain family. The film has a good sense of humor, which is unsurprising since taht's how my family gets through things. The film is really is a family affair, isn't it? It's a real collaboration between myself and my daughter Maddie and also my daughter Zoey. Although Zoey didn't write it or score it, she starred in it and helped me produce it and get us a lot of the actors and locations that we got. My husband (Howard Deutch) gave us a lot of moral support. Maddie and I have been working for four years on this project. It's the only piece of art that I have created from the ground up. It feels about time, since I have just turned 56, that I create something of my own! I haven't directed a lot per se, but I have been directing television for 12 years. Directing a movie was always something I wanted to do, but the rest of life just always got in the way. This movie is an independent movie and was such a Herculean task to get made. It was much longer and more difficult than having a baby! I liked the fact that Maddie's character, Izzy, was a very rounded character, and not some kind of Manic Pixie Dream Girl. Manic Pixie Dream Girls are usually created by men, and this film was written by a 23-year old woman about her real experiences. The script was based on Maddie's feelings about being rudderless and not really understanding what is going on with men. It was a conscious decision on Maddie's part to make Izzy rounded and culpable. I learned from my husband that if you like a script, you should honor the writer, and I tried to do that as best as I could. Maddie is very strong and opinionated. Even the language is specific to her and her generation. She had to write in the script ''If you see what you think are typos, they're not typos. They're abbreviations or slang. '' She has a really good ear for how people of her generation speak. Izzy actually reminded me of a character Jeannie Berlin might have played in the 70s. That's awesome! I love Jeannie Berlin. Maddy talked about how there's a hole in the market for people of Izzy's age group. You get lots of movies about 17 year old girls walking around smoking and getting into trouble, or films about 30 year old women, and then nothing for women over 35. After that women just fall off the movie world. There are no movies about women in their 20s, but those stories are interesting because it is so difficult for young girls to break out on their own after finishing college or university. Life is so expensive these days. The pace of the film is very snappy, and the script balances a lot of tones and has a lot of witty dialogue. Did these things represent a challenge for you? It was actually the locations that were the biggest challenge, and the different times of the year that we had to shoot..We didn't have a big budget, but we shot in New York and San Francisco in the spring, Los Angeles in the summer and the fall, and Tahoe in the winter. We shot from late September to early May with three different units. There were 52 locations, which were really expensive. Most little movies are shot in one house! I never thought we'd be able to get exactly what was in the script but somehow the producers and myself manged to do it through sheer tenaciousness. We also somehow ended up with a really long movie and I had to cut about an hour out. It's not one of those movies where the doe-eyed girl walks around looking at things! There's a lot of talking and things happening and comedy. I just didn't realise we had shot so much of it! It sounds like you had to think a lot on your feet. Did you find yourself thinking back to advice or things you had observed other directors doing? There was a little of that but so much of it is just taste and the fact that I have been doing it for so long. I didn't second guess myself. I really know how to break down a scene and when a scene is not working. I've had to fix things so many times as an actor and also as a director that it's second nature now. I've worked with so many good directors and logged so many hours on movies big and small that I know how to roll up my sleeves and get it done. But there are some great directors that I worked with that I aspire to, especially Bob Zemeckis who did BACK TO THE FUTURE. He had such an economy of style. Every shot was jam packed with information. He didn't waste a lot of time or visual depth. When I worked with him I loved how he kept filling the frame with story. I was definitely inspired by that. My movie is very lush. I worked very hard to make the locations multi-layered and full of character to help tell the story better. This is a visual medium, so that's important. I also loved how cognizant Bob was about taking out things that didn't further the character or the story or simply weren't funny. I tried to do that as much as I could. What films or filmmakers influenced THE YEAR OF SPECTACULAR MEN? My visual inspiration for the film was ANNIE HALL (1977). I love the way that film is shot and Maddie's sensibility definitely has its roots in Jewish humor. She loves jazz music so when she wrote the score it kind of echoed that New York feeling, We were careful to not have too many clarinets though! We didn't want too much Woody Allen. Also, SOME KIND OF WONDERFUL, which my husband Howard directed and I acted in, was an inspiration to Maddie growing up, as were many other John Hughes movies. The music was so great in John's movies and we tried to do the same on our low budget. Maddie wrote a lot of the songs and the music is very integral to the film. I spent six months trying to find the right music and Maddie wrote two songs at the end specifically for the movie. Do you feel you learned anything new about your daughters' talents making the movie? Absolutely. Maddie is the star of the movie and I had no idea she had those kind of comic chops. She's very funny and she does a lot of 40s/ 50s classic comedienne stuff in the movie with the looks she gives and the double takes. Her whole way of being in the film is so adorable. It's interesting because the way she plays Izzy is not who she is in real life at all. Even though she wrote the script I was really impressed with how she inhabited the character. Zoey has been acting longer than Maddie. She has been a spectacular actress since she was a little girl playing with her Barbies. She's so verstile so I'm usually not much surprised by what Zoey does, and also I have been working with her for a very long time. But I was surprised by how game she was to play this prissy movie star. I was incredibly impressed by both of my daughters's work ethic. I knew already that they had strong work ethics from their school days and watching them work, but for example, Maddie did rewrite after rewrite and Zoey did two movies during the times we closed down. Did you encourage Maddie and Zoey to become actresses? Zoe wanted to become an actress when she was 15. That's a really difficult time for girls. That's when they tend to get really wild and crazy, so I was just happy she had something she really cared about that kept her from partying! It's really important to keep your kids focussed. Maddy wanted to be a musician at that age, and the music business is something I know very little about. Like with Zoey, I was just happy she had something she was passionate about that would keep her out of trouble. It didn't hurt that they both got off the payroll darned early either! Some parents end up paying for their kids till they are 35! I was concerned about the rejection both girls would have to face. It's horrible and we all have to live through it. Both me and my husband have had our hearts broken a million times. It's hard to watch it happen to your children and to see them having to get up and start again. I know my husband and I have set a good example. When you get knocked down you just get back up and keep walking! I feel honored that my daughters are willing to walk in my footsteps and peek out from my shadow. That makes me feel proud that I haven't made it seem so terrible to be a movie actress or made it seem so fabulous. My career has been a huge blessing. I never realised I would be able to touch people as far away as Japan as example. I went there to promote HOWARD THE DUCK, and I got off the plane and there was this huge throng of people. Without me knowing I had become a big star over there because of BACK TO THE FUTURE. I did all these interviews and chat shows. I never thought anything like that would happen to me.